Climate disruption is an urgent threat to the environmental and economic health of our communities. Many cities, in this country and abroad, already have strong local policies and programs in place to reduce global warming pollution, but more action is needed at the local, state, and federal levels to meet the challenge. On February 16, 2005 the Kyoto Protocol, the international agreement to address climate disruption, became law for the 141 countries that have ratified it to date. On that day, Seattle Mayor Greg Nickels launched the US Mayors Climate Protection Agreement to advance the goals of the Kyoto Protocol through leadership and action. Two years later, The U.S.Conference of Mayors launched the Mayors Climate Protection Center to administer and track the agreement, among its other activities. By November 1, 2007, there were more than 710 signatories to the Agreement. 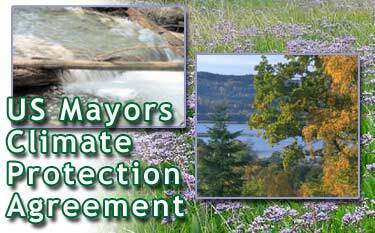 Click here to see if your city has signed the agreement! Local Communities Leading the Way! Fargo was the first North Dakota city to sign the Mayor's Climate Protection Agreement. The City of Fargo was ranked #1 for overall environment by the Earth Day Network. 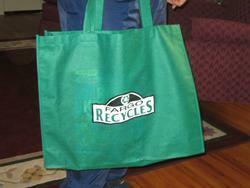 The city of Fargo passed out 500 reusable grocery totes last Earth Week to encourage less use or reuse of non-biodegradeable plastic grocery bags. 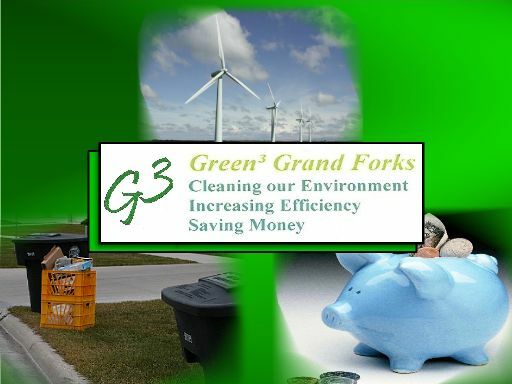 Fargo continues to work toward being a sustainable community. Efforts include continuing to improve the transit system (ridership has almost doubled since 1999, now over 1.2 million rides, 30% are under college age), using 20% biodiesel in our entire fleet when it's not too cold, capturing greenhouse gas and converting it to energy and cash, and promoting more use of recycled, reusable grocery totes to reduce the amount of plastic bags going to the landfill.